Bummer!! I really liked the first one until the photo of the back. It is so disappointing after you put all the work into something and then it doesn't turn out. But I am glad you did the post because I wont be buying Vogue Patterns. Oh, I don't think they're that bad! I admit, the back of the first one is a little rough, but I think if you wore it with a cardigan and a nice necklace it would look great. And maybe on the second one if you wore a belt over it it would bring in the waist a little bit and make it look less dentist smock-ish (ha!)? Just some ideas. I'm sorry you weren't as happy about them as you had hoped! Thanks for sharing, anyway. I appreciate your honesty. It makes me feel good knowing I'm not the only one who sews things and then never wears them because of how they turned out! I don't think they look bad but it is how you feel in a dress that counts. 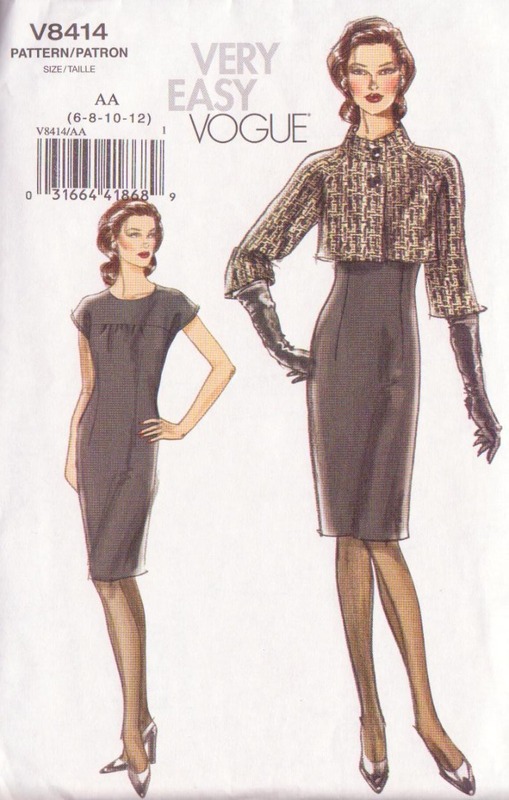 The first clue to a problem pattern -- there is only a sketch on the envelope not a photo of a real garment on a real person. You cannot really judge a pattern until you see it made up. If there is a photo and you like it, then you look at the line drawings for design details. Personally I don't like the fit of all in one sleeves and bodice like the first pattern. The second pattern I like. I don't see the dentist smock but you made me laugh . i actually love that second one. just belt it! belts solve everything in my opinion. thanks for sharing! Wow great job on both dresses! You look great in them too! Good job on the dresses but you can only do so much with a badly designed pattern. I agree that one key is to only buy pattern with real photos and not drawings. So frustrating when that happens. Sorry for the bad luck with Vogue! Both dresses look well made, however! Cant tell you had any troubles. You dress looks fab!